Political ads have saturated every last airwave and newspaper. Voter registration rolls have closed. Local ballots have hit mailboxes, but campaigns continue to hammer on to Election Day. Sterling Clifford, spokesman for Democratic gubernatorial candidate Jay Inslee, says no campaign will be letting off the gas during the last week of the race. “You run full speed into the wall at the end,” he says. 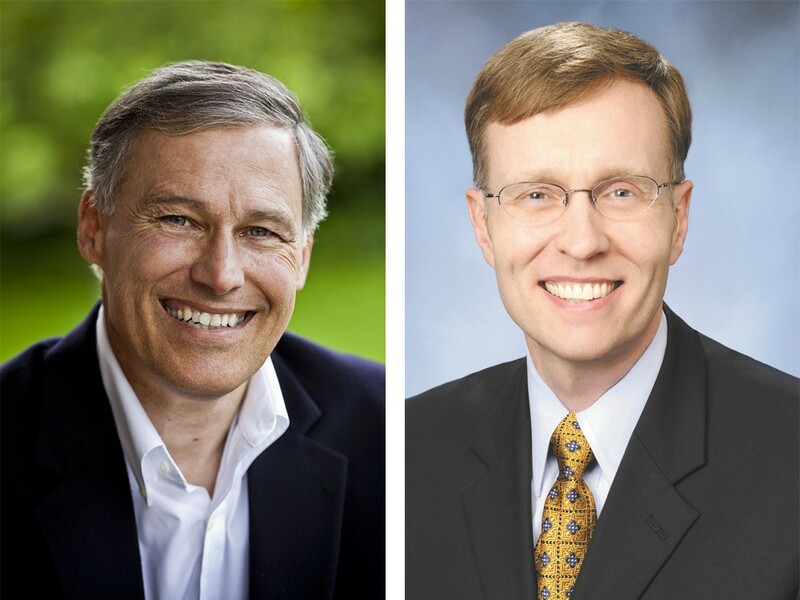 Both Inslee and Republican candidate Rob McKenna have piled into tour buses for one last dash through the state in hopes of getting supporters out to vote. For months, they have trumpeted their policies, made their promises and lambasted their opponents. Now they just have to see who can get the most supporters to actually return their ballots. McKenna started the week on the coast and worked his way through several communities in southwest Washington as part of a 29-city tour. He planned to move east to Walla Walla and other cities later in the week. Inslee’s tour schedule passes through several cities along the Puget Sound, hitting Seattle, Tacoma, Everett, Bellingham and others this week. Clifford says Inslee has been traveling five days a week to reach as many voters as possible in the race’s final stretch. Local candidates also planned to stay busy this week, knocking on doors and reaching out to their supporters across the region. Jeff Holy, the Republican candidate for one of the 6th Legislative District state representative seats, says he and his volunteers have visited more than 18,800 homes throughout the campaign. He plans to continue door-belling and meeting with residents all week. “We are continuing to drive hard and finish strong by working all the way through Monday,” he says in an email. His Democratic opponent, Dennis Dellwo, says his priorities have shifted in the last week to encouraging voters to return their ballots. He says has a few more campaign events, including two debates with Holy, but will mostly focus on rallying his supporters. “It’s a pretty hectic last week,” he says. Registration for new voters closed statewide Monday as last-minute applicants lined up at the Spokane County election office. County Elections Manager Mike McLaughlin says more than 400 people came down to register in-person on the final day. Spokane County reported record voter registration with nearly 281,700 people on the rolls this year, he says, up from about 259,000 registered voters for the 2008 election. This year’s total may still increase slightly as the last of the registrations become active. McLaughlin says he expects voter turnout to reach between 80 percent and 85 percent with close to 237,000 ballots returned countywide, which could rival the record 85.7 percent turnout during the 2008 election. All ballots must be postmarked by Election Day, Nov. 6, or dropped off at one of several ballot collection boxes throughout the county. McLaughlin recommends voters double-check the final pick-up time at their local post office in advance.